KKSB Cases is the leading website offering enclosures and cases for electronics which may include but not limited to tablets, single board computer, and custom cases. We introduce unique and high-quality products that have been created through an efficient manufacturing process. KKSB has been committed to ensuring that its customers are only able to access the best quality cases that will ensure that your electronic is well guarded and can last longer. It has also guaranteed to add quality features to most of its cases to provide maximum protection. The following are some of the products that KKSB has ensured are of the optimum quality. 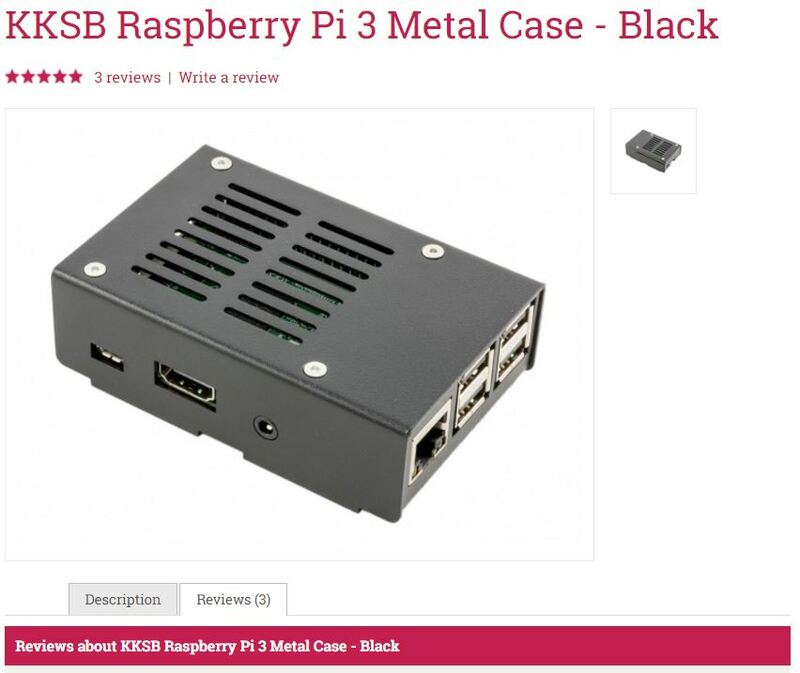 KKSB has introduced the new and improved Raspberry Pi 3 Case which has new specifications compared to the third generation Pi which is considered outdated. The new Raspberry Pi 3 case has been fitted with anew CPU, Bluetooth, and LAN. This will ensure that the user has the maximum protection. You will also be able to notice that Raspberry Pi Case 3B has been manufactured with steel and stainless steel with a sophisticated design. Its design also enables it to fit perfectly well on the circuit board. The Raspberry Pi will be widely beneficial to schools and other learning institutions all over the world which makes it the most sold single board computer globally. Therefore, our main focus is to ensure we maximize on the supply of Raspberry Pi Case 3B and raspberry cases. It is also noticeable that the new Raspberry Pi 3 and 3B are compatible with its predecessor Pi 2 due to the similar shape. This case is also widely used to protect the board from any external and internal damage. KKSB has committed itself to ensure that it designs and manufactures custom computer cases Arduino for custom applications. To ensure the Arduino is well protected, it has been enclosed by the Arduino Uno Case. This case will be a huge fit for serious users and enthusiasts or organizations that are looking to purchase that are good-looking. The Arduino case is also laser cut to ensure precision and made of powder coated steel and stainless steel. The Raspberry Pi display has improved on the quality of its products through the addition of the Raspberry Touchscreen, Raspberry Pi 7 Touchscreen Display and the Raspberry Pi LCD Display. The Touchscreen for Raspberry such as the 5-inch HDMI is simple to use, appealing to the eye and is highly efficient. It is also compatible with all the computers comprising the HDMI output. It’s fitted with specifications such as high-quality resolution, USB resistive touch control, plug, and play and Intel MiniPC support among others, which you will experience once you get to use. This quality is available at a low price too! Its LCD Display has been made with powder-coated steel, compatible with raspberry Pi 3B+. It has a 6H hardness, supports popular mini PCs as well as desktops, understands Multilanguage, and supports VGA input among other specifications which you can enjoy once you purchase it.